Ambassador Randall L. Tobias is internationally recognized for over three decades of leadership in business, education, philanthropy, and government service and epitomizes the impact of multi-sector leadership practice both in the United States and around the world. A proud Hoosier, Tobias grew up in Remington, Indiana, and graduated from Indiana University. He served with distinction as the director of U.S. foreign assistance with the U.S. Department of State and served concurrently as administrator of the United States Agency for International Development (USAID), the principal government agency that administers economic and humanitarian assistance worldwide, with the rank of ambassador. Tobias served on active duty as an artillery officer in the U.S. Army before beginning his distinguished business career. His acumen in management and strategy positions with AT&T led to his appointment as chairman and CEO of AT&T Communications and as chairman and CEO of AT&T International from 1991 until 1993. In 1993, Tobias joined Eli Lilly and Company as chairman, president, and CEO. Under his leadership, Lilly enjoyed one of the most successful periods in its history. He was named chairman emeritus upon his retirement in 1999. Tobias continued to serve on several boards while also focusing his attention on a number of business, community, and philanthropic interests, as well as on teaching and writing. In 2003 he and his son, Todd, published a book on leadership lessons, Put the Moose on the Table. In 2003, President George W. Bush nominated Tobias to serve as the first United States Global AIDS Coordinator, reporting directly to the Secretary of State. In this position, Tobias was responsible for launching the highly successful President’s Emergency Plan for AIDS Relief (PEPFAR), and for directing all U.S. government international HIV/AIDS assistance across the globe. Tobias has successfully led numerous education institutions and not-for-profit organizations. 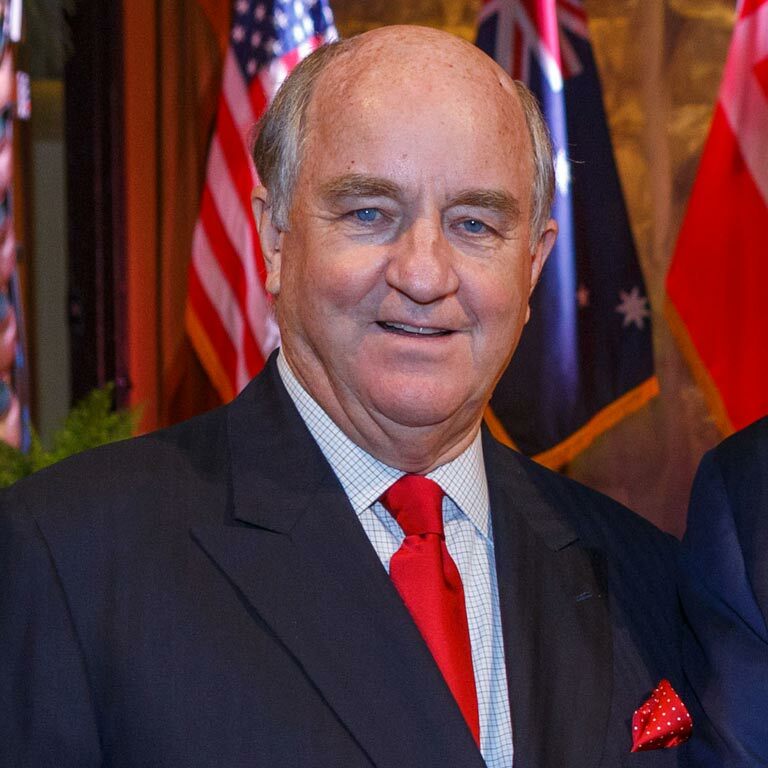 In 2013, then-Governor Mike Pence appointed Tobias to the Board of Trustees of Indiana University which he later led as chair. Previously, he served on the boards of Duke University, the Colonial Williamsburg Foundation, and the Overseas Private Investment Corporation (OPIC). Among his numerous honors, Tobias was named pharmaceutical industry CEO of the year by The Wall Street Transcript in 1995, and CEO of the year in 1996 by Working Mother magazine. In 1997, he was named one of the top 25 managers of the year by Business Week magazine and recognized as the Norman Vincent Peale Humanitarian of the Year. He received the Positive Ally Award from the National Association of People with AIDS in 2005, and in 2006 he was named an honorary fellow of the American College of Healthcare Executives. Ambassador Tobias received honorary degrees from Indiana University, Wabash College, Butler University, Gallaudet University, Ball State University, and Rose-Hulman Institute of Technology. Indiana University–Purdue University Indianapolis (IUPUI) awarded Tobias the Urban University Medal.